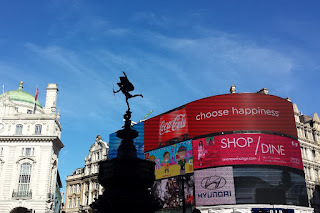 The small winged angel in Piccadilly Circus is a famous London landmark, tourists will often be found resting on the steps at his base and his central location makes him an ideal meeting point. Anteros is the god of requited love and his place on the Shaftesbury Memorial is to represent the love of the philanthropic Earl of Shaftesbury for the the poor. 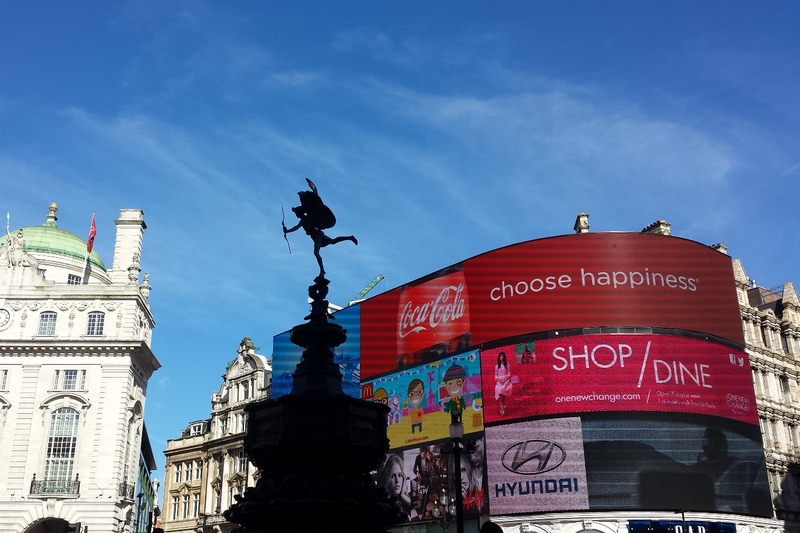 It is a popular urban myth that since its erection the statue, when taken down for maintenance or similar, was replaced facing the wrong way and should be pointing his bow up Shaftesbury Avenue. Photographs from a few years after the statue was erected show the bow pointing in the direction of Lower Regent Street (as it does today). 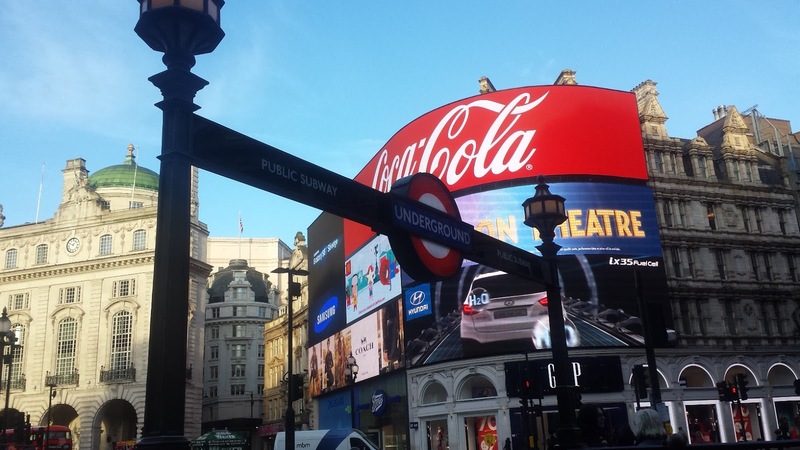 The famous illuminated advertising hoardings at Piccadilly Circus have been part of the landscape since 1908. They are lit up almost constantly, only being turned off rarely (deaths of Winston Churchill and Princess Diana and the lights-out campaigns held annually).